Tarralyn’s Beauty Palace – “Where Everyone is Royalty.” Come and be transformed at the Palace. Escape from reality. Come to the place where dreams can come true through transformation. Relax at our Palatial facility as our artists develop a unique look just for you. Our professionally trained and friendly staff are more than just stylists, techs or beauticians, but artists that embrace the artistic approach with every client. Tarralyn’s Beauty Palace is owned and operated by singer, songwriter, performer and philanthropist Tarralyn Ramsey who understands “Looking beautiful goes a long way towards building self-confidence and making you feel your best!”. Tarralyn wanted a place where anyone and everyone can be made to feel beautiful. 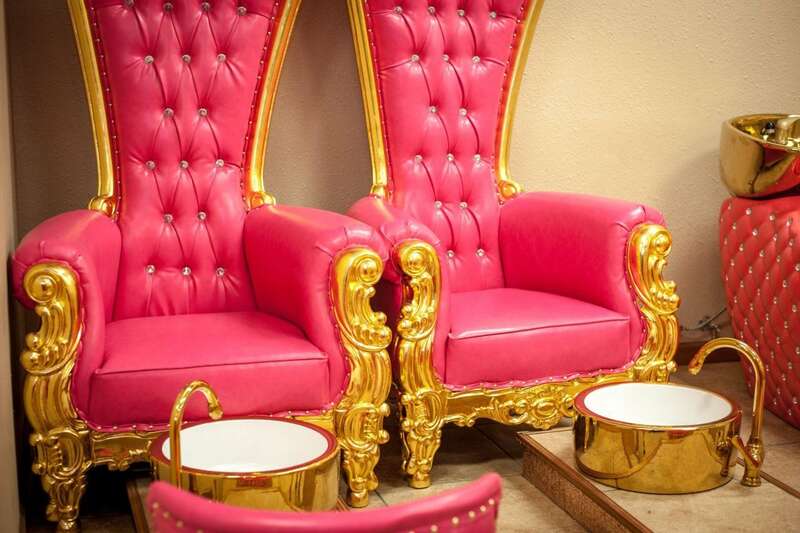 At Tarralyn’s Beauty Palace you will be immersed in pink, gold and white hues and tones – a decor that creates a warm and inviting atmosphere. Come to the place designed for you. Relax, enjoy and become the truly beautiful person you are!